Alma Lucille Horne Hamrick was the daughter of the late Ernest Horne and Nancy Bailey Horne. 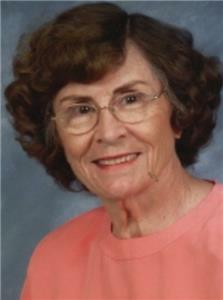 She attended Chattanooga Valley High School and graduated from Hixson High School in 1944. She was a graduate of Chattanooga Business Institute. Alma was employed at Davenport Hosiery Mill and later joined Lovemans Inc. as an executive secretary. She retired June 30, 1994 as Secretary to the U.S. Magistrate Judge, having served in that capacity for 25 years. She proudly served three very fine judges and thoroughly enjoyed her work. Mrs. Hamrick served as President of the Chattanooga Legal Secretaries Association in 1975. She was a member of Supreme Council, Order of the Amaranth, Inc. She served as Royal Matron of Volunteer Court #2. At present, she was a member of Christina Court #4 in Chattanooga. She was a member of Chattanooga First Seventh-Day Adventist Church. Alma enjoyed working in her yard and watching her flowers grow and bloom. Her yard was always one of the most beautiful in her neighborhood. She said this was her exercise as well as great therapy. After retirement, Alma enjoyed traveling, and had been in all the states except two. She made four trips to Hawaii, two to Alaska, and several to parts of Canada and Mexico. Cruising was her favorite and enabled her to visit most of the Caribbean Islands. She enjoyed 11 cruises. Alma was the widow of Thomas Austin Hamrick, and is survived by her daughters: Wanda (Dennis) Wiggins of Jacksonville, Florida; Rita (Charles L. Jr.) Lowrance of Cleveland, TN; and Gloria (Dewayne-deceased) White of Fort Oglethorpe, GA. She had four grandchildren and nine great-grandchildren. Those who knew her will always remember her ever present smile, her gift of laughter, and her willingness always to help others. Visitation will be from 2-4 p.m. on Friday, April 20, at Farmland Community Church at 1675 Greendale Drive NE, Cleveland, Tn. 37323 with a service to start at 7 p.m. Private interment will be in Hamilton Memorial Gardens at 10 a.m. on Saturday, April 21. You are invited to share a personal memory of Alma or your condolences with her family at her online memorial at www.companionfunerals.com. Companion Funeral and Cremation Service and the Cody family are honored to assist the Ham rick family with these arrangements.